Honda will unveil a new 50 cc scooter at the 43rd Annual Tokyo Motor Show. Although not massive news, any new scooter launch is enough to get the heart racing these days. 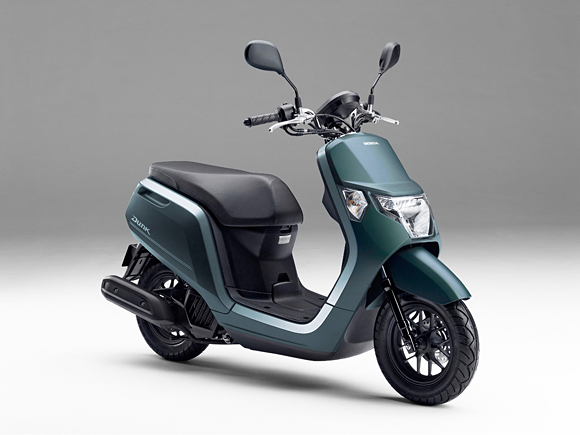 Alongside the new Honda NSX Supercar, Honda will launch the Dunk, a 50 cc scooter with a cheeky-chunky kind of style. 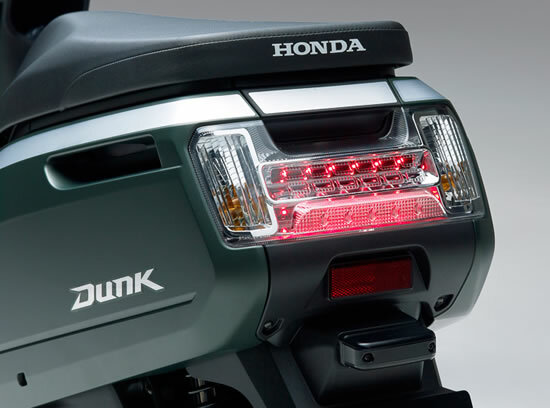 The Honda Dunk features a brand new, liquid cooled, 50 cc 4-stroke engine. 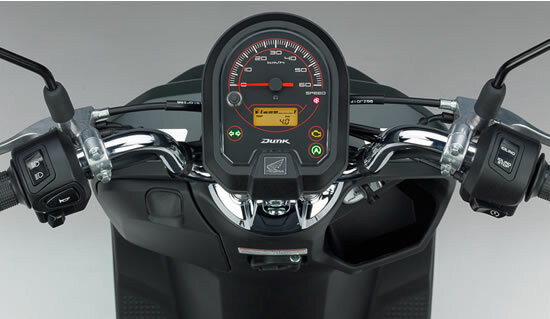 The Dunk also features idle stop as seen on the PCX range. Imagine the fuel economy this baby will get. The rest is pretty standard. The Dunk runs 10 inch wheels and has a disc brake front end. There's loads of storage thanks to the flat floor arrangement. TGB Australia turn up the value. The X Motion 300 reduced to $4,990 plus on road costs. It's always hard to judge any scooter as being the best value scooter on the market. Some folk might perceive different features representing different levels of value. 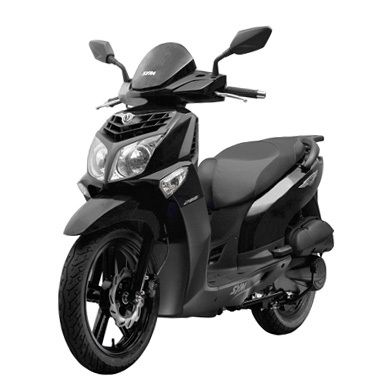 For me, I look at how a scooter performs and what conveniences it brings for the money. Features like storage, performance, comfort and maintenance all rate fairly high on my scorecard. With the X Motion being reduced to $4990, this TGB has headed straight to the pointy end of the value equation. The X Motion feature list is a long one. 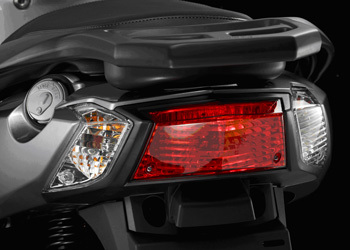 The comfortable upright riding position benefits from excellent frontal protection. The dual seat is comfortable for one or two, the rider is given additional lumbar support and the passenger is given a nice set of flip-out pillion pegs. 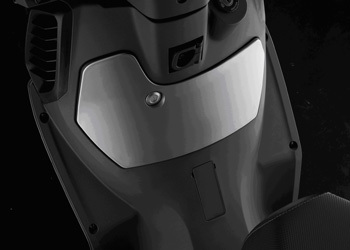 The volume of storage comes to a massive 45 litres, enough for two helmets plus more. A 12 volt charger resides under the seat, the glovebox helps with smaller items and the dash is a modern mix of digital and analogue. The big winners are a chassis that will not only commute, it'll also tour happily. The motor is one of the best on the market. Super reliable, fuel injected and liquid cooled. The engine is also a breeze to maintain. Wheels are 14 inch on the front and 13 on the rear. Disc brakes are found at both ends. The fuel filler is positioned externally, the tank housed nice low and central. The X Motion is full of features that make it a top value proposition. Big on convenience, practicality and all-round, a very user friendly scooter. It's no wonder the X Motion 300 is one of the more popular choices in Europe these days. Colours are black, white and silver. Price of $4,990 does not include registration. Final price will be just over the $5,500 mark. See your local TGB dealer for further information, offer ends 31st of December 2013 or until stocks last. 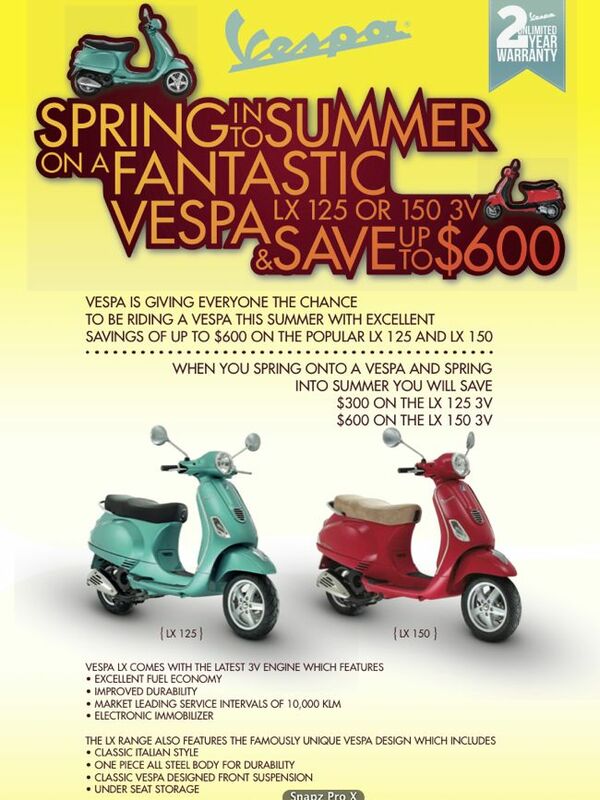 Save up to 600 dollars on the LX Vespa range until the end of December, 2013. 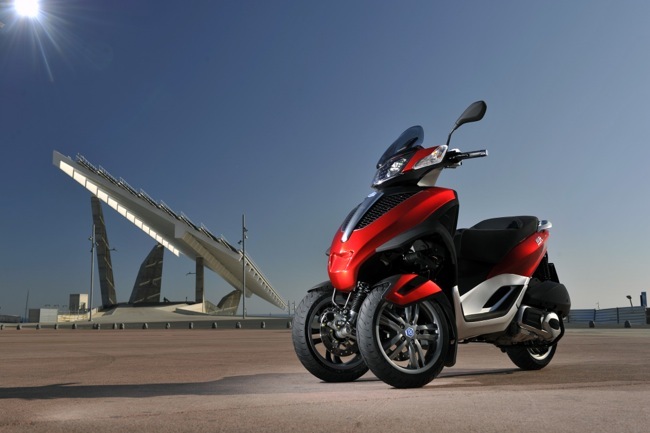 Vespa Australia have announced the latest promotion on both LX 125 and LX 150 models. Until the end of December you can save $300 on the Vespa LX 125 and a big $600 on the LX 150. Both models feature the latest 3 valve engines with added performance and increased fuel economy. Not forgetting, Vespa's have always featured a "one piece" metal body and that unique front suspension design. 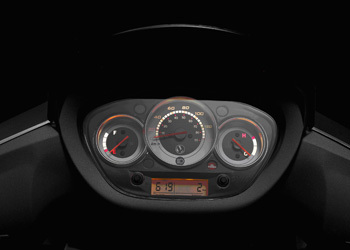 The Vespa LX 125 and LX 150 3V come with a 2 year warranty and 10,000 km service intervals. See your nearest Vespa dealer for further information - Find them here. The replacement for the long running HD 200 has arrived. 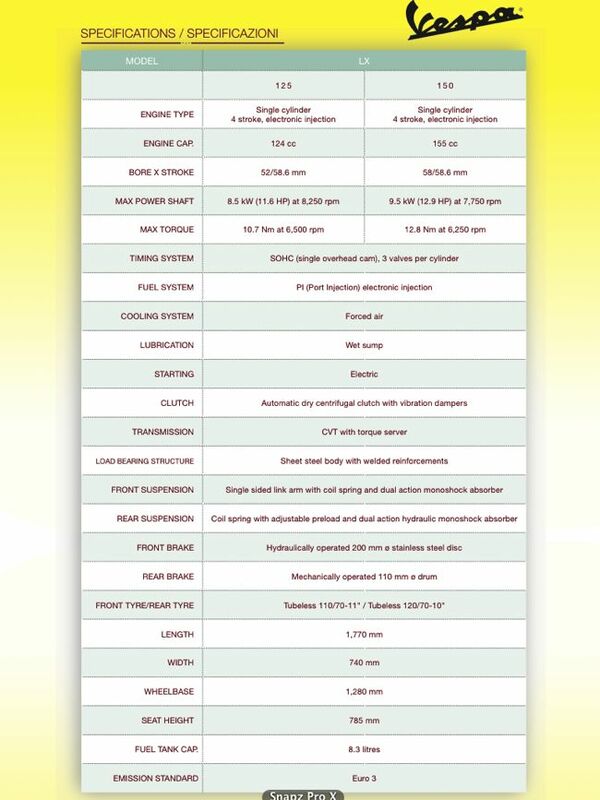 The updated HD2 is here. The HD2 EVO update is more about style than actual specification changes. Regardless, the new-look HD2 is here. The styling is a little more modern and far more European than its predecessor. Changes include new dual headlights, new rear taillight and a revised analogue dash. Other minor changes include a revised front frill, side grills and the seat height is said to be reduced at 790 mm. The HD2 comes standard with twin disc brakes, top box ready rack and front glove compartment. Additional convenience items include a flat floor and a handy bag hook. Scooter sales still slightly down on last year whilst motorcycle sales are slightly up. Motorcycle, all-terrain vehicle (ATV) and scooter sales have risen almost one per cent this year, with almost 80,000 sold in Australia between January and September. The 79,949 sales are 0.8 per cent higher than in the same period last year. Releasing the motorcycle, ATV and scooter sales figures for the period 1 January to 30 September 2013, Federal Chamber of Automotive Industries (FCAI) Chief Executive Tony Weber said road motorcycle sales remained steady, increasing by 0.8 per cent (31,401 sold); however off-road motorcycles were up by 10.7 per cent (26,628 sold). ATV and scooter sales decreased 7.5 and 11.9 per cent, respectively, compared to the same period in 2012 - 14,968 ATVs and 6,952 scooters sold. 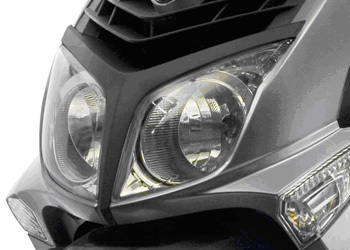 "Honda led sales of road motorcycles and ATVs for the period. 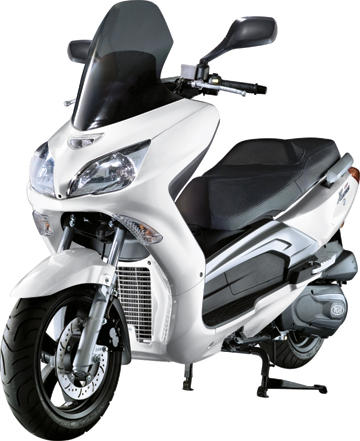 Yamaha led off-road motorcycle sales and Piaggio led scooter sales," Mr Weber said. Honda sold 6,299 new motorcycles, followed by Harley-Davidson with 5,779 and Kawasaki with 5,211. Victory Motorcycles continued its steady progress towards increased market share, selling 364 units—a 12.7 per cent increase on the same period in 2012. Yamaha increased their sales of off-road motorcycles by 9 per cent (7,811 sold) compared to the same period last year. They were followed by Honda, who saw steady growth (13.5 per cent) with 6,356 units sold. KTM and Suzuki came third and fourth, respectively, in the off-road segment with 4,499 and 3,390 sold. While Honda continued to lead the ATV sales race, their sales volume contracted in comparison to the same period last year—down 11.1 per cent, with 3,772 sold. They were followed by Yamaha (3,033), Polaris (2,904) and Suzuki (1,478). BRP again experienced significant growth (1,283 units)—up 24.6 per cent compared to the same time in 2012. In a still slowing scooter market, Piaggio sales grew to 1,150 scooters—up 3.3 per cent from the same period last year. 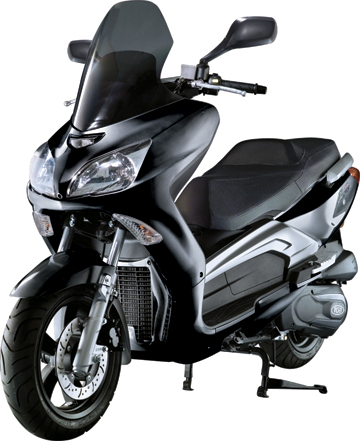 Honda was the second top scooter seller, with 859 sold. Across all segments, Honda was the leading volume manufacturer with 17,286 units sold. They were followed by Yamaha (14,133), Kawasaki (8,501) and Suzuki (7,669). 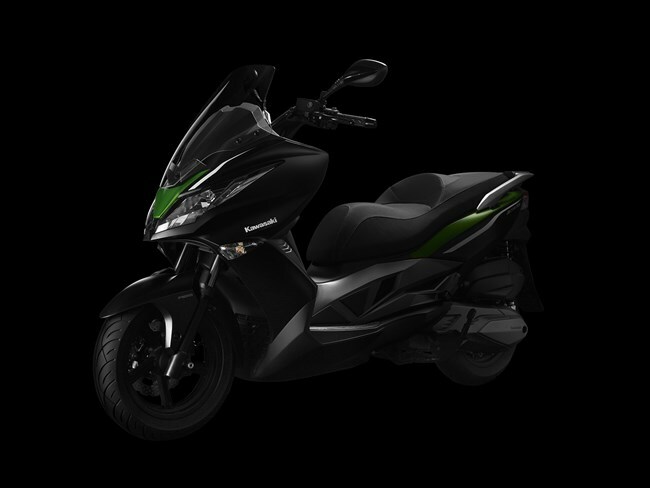 Kawasaki has announced the launch of its first ever scooter to be built in conjunction with strategic alliance partner, Kymco. 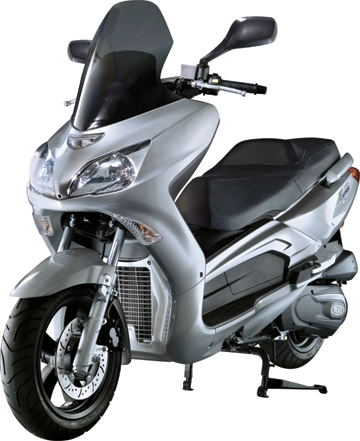 The scooter, dubbed the J300, is said to be designed by Kawasaki yet runs chassis and running gear by Kymco. 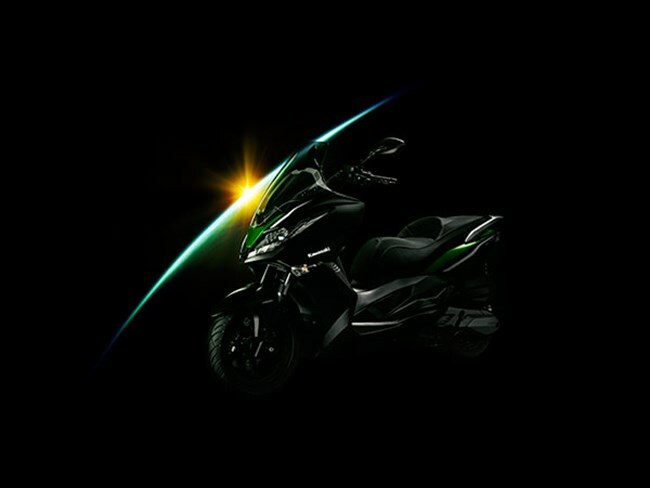 Kawasaki's European website made the announcement with confirmation the first showing of the new J300 will be at this years Eicma show. 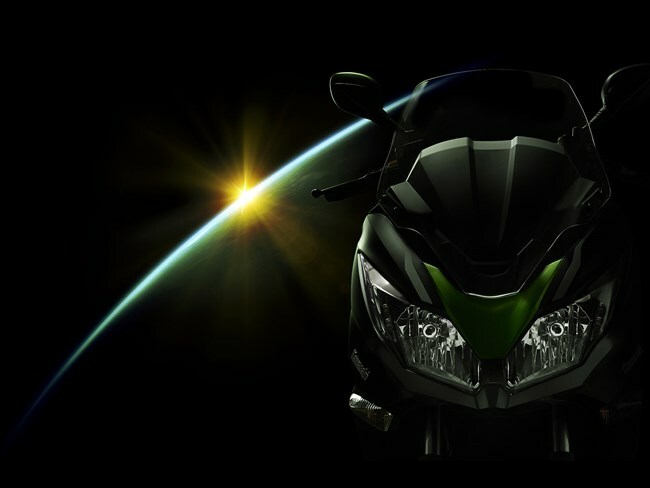 No doubt Kawasaki is wanting to capitalise on the success of its lower to mid-capacity, learner friendly motorcycles. 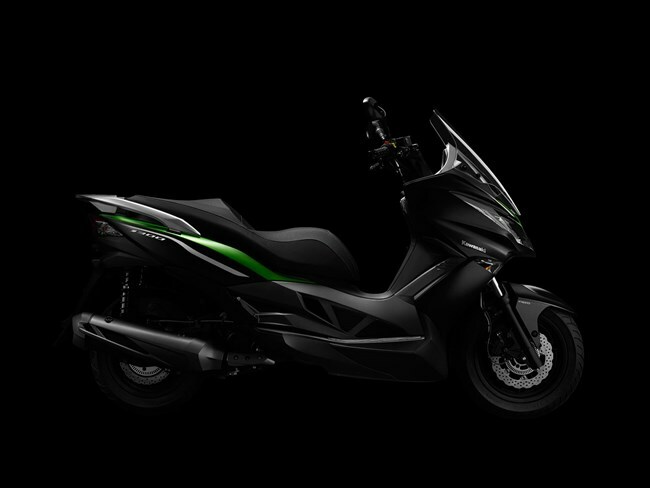 It's not yet known if we will see the Kawasaki J300 in Australia. More as we have it, full European presser below. KAWASAKI MOTORS EUROPE - PRESS OFFICE, October 08, 2013 - Styled entirely in-house by a dedicated Kawasaki design team, the new J300 scooter features exciting Kawasaki visual cues that Mr Fukumoto, head of KHI’s Styling Department comments: “It was of great importance that our first step into the European scooter market should be with a machine that embodied Kawasaki’s cutting edge design, we are happy that we have achieved this with the styling features of the new J300”. Regarding the guiding principles of the design philosophy Mr Fukumoto added “J stands for Jyounetsu which means passion in Japanese. We approached the styling and design of the J300 with the same passion as for our other significant new models for the 2014 season”. Recognising a Europe-wide demand for stylish, easy to ride and reliable scooters, Kawasaki has reacted to an obvious gap in its product offering. The J300 compliments other successful urban families such as the popular ER series of machines and the versatile city charm of the Versys. 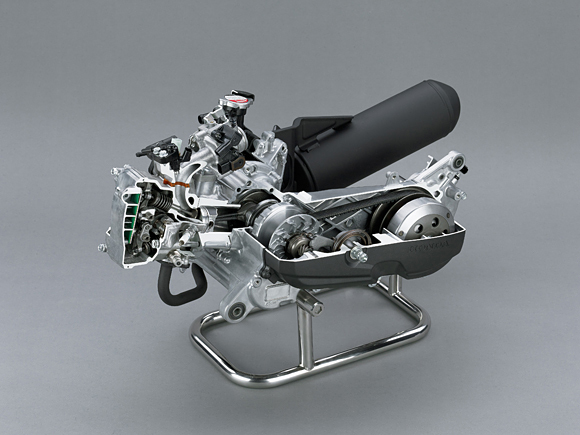 With the core drive train and additional chassis elements provided by strategic vehicle partner, Kymco, the development, styling and final product engineering approach has been conducted exclusively by the design and engineering team at Kawasaki’s factory in Akashi, Japan and Kawasaki’s European R&D Department. Available from franchised dealers in late 2013, the J300 is set to appeal to Kawasaki enthusiasts in need of a smart commuter and to attract new riders to Kawasaki enabling yet another segment of potential customers to enjoy the unique Kawasaki brand experience. 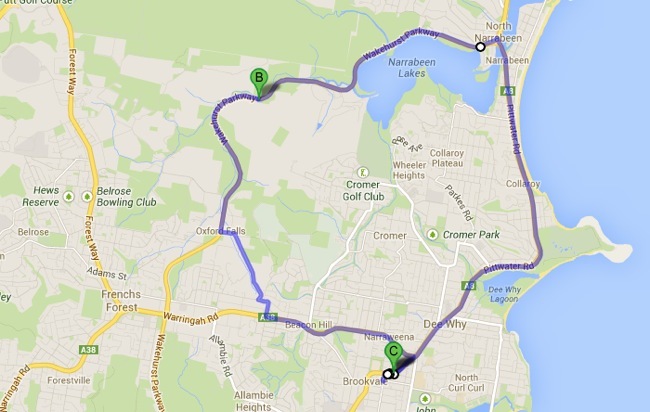 Scooter Central Sydney is holding 3 Piaggio/Vespa ride events over 3 separate weekends in November. Sydney scooter dealer, Scooter Central, is having a series of Piaggio Vespa Ride Days. An extended test ride program will be carried out over three weekends. 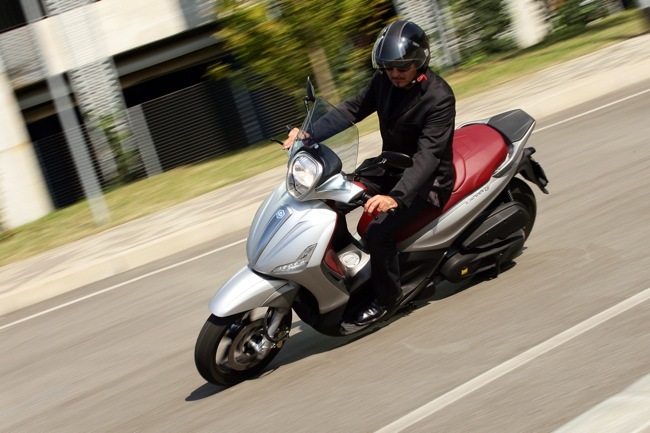 This includes latest release Piaggio models like the new X10 500, Yourban 300 and BV 350. Scooter Central is also offering test rides on Vespa's big daddy, the GTS 300 Super Sport. The Piaggio Vespa Ride Days will also mark the first time showing for Piaggio's new Liberty 3 Valve. The confirmed dates will be as follows. Saturday the 2nd of November will kick off the first event. Next event will be held on Saturday the 23rd of November. The last will wrap things up on November the 30th. The last two ride days will coincide with the Sydney Motorcycle Show which occurs on November 15-17 (Sydney Exhibition Centre, Darling Harbour). To register your interest in a particular model and time, simply pick from the three links provided below. Scooter Central will send you a confirmation email and keep you up to date on each of the days happenings. Each Piaggio Vespa Ride Day will consist of many freebies, lucky door prizes and long extended test rides. There will also be a free BBQ. Come and ride your favourite Piaggio/Vespa models at the Scooter Central Ride Day Extravaganza.